On May 22, Russian mercenaries attacked Ukrainian positions in Donbas 49 times. One government serviceman deceased in action, while another three sustained injuries. According to the Joint Forces Operation HQ, the combat activity increased in the Mariupol sector, Donetsk region. 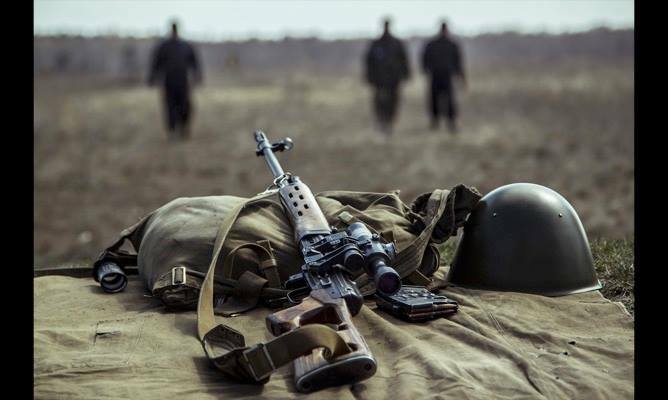 Heavy fights took place near Talakivka, Vodyane and Shyrokyne. The enemy used 152 mm artillery to shell the residential neighborhood in Talakivka, not far from Mariupol. There are no casualties among civilians during the attack; the local infrastructure took some damage, though. In Luhansk region, hostile troops attacked emplacements near Troitske and Stanytsia Luhanska. The Ukrainian forces eliminated four Russian militants; another four were wounded in combat.